I want to start with article with a little story about me. In the photo on the left, I had just competed in my second fitness competition and I was trying to stay lean for photoshoots that I had planned. I was eating around 1300 calories per day, training twice a day and all I remember was that I was exhausted and miserable. I was no longer losing fat (not that I had much left to lose to be honest), and I was well and truly on struggle street. I tried to keep pushing through to maintain my physique but it was just too much and I FINALLY made the decision to reverse diet (and get my life back haha). I slowly increased my calories each week and reduced my cardio. My energy levels began to increase, the incessant urge to binge stopped, my training improved, and I started building some muscle! I stuck with it for over 6 months (even though I was so worried about gaining fat) and I got to the point where I was eating over 2100 calories per day. I remember taking the photo on the right thinking that I wasn’t very lean but now that I put them together, I can actually see how minimal my fat gain was throughout the process. The most important thing though was that I felt AMAZING! The process of dieting can be hard on our bodies. When we diet, our metabolisms adapt to our reduced calorie intake. We end up burning less calories per day (mostly due to our lower body weights), our fat loss slows and eventually we will hit a fat loss plateau. In an attempt to preserve fat stores, our bodies lower testosterone, thyroid hormone, and leptin, while increasing cortisol and ghrelin (hunger hormone). When we diet for extended periods of time, these adaptations become worse. In addition to a halt in our fat loss, we can also suffer from fatigue, extreme hunger, poor sleep, crappy training performance and irritability. Sound familiar? Increase calories straight back to your maintenance calorie intake (I would suggest subtracting 10% from your theoretical intake to account for metabolic adaptation). The option you choose purely depends on how long you were dieting for and the severity of your calorie deficit. It also depends on how concerned you are with gaining a small amount of fat. Today we will discuss reverse dieting! Reverse dieting is simply the process of increasing your calorie intake from a caloric deficit back up to your maintenance level or to a surplus. 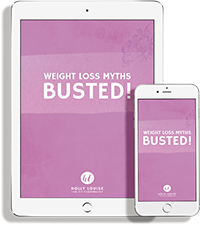 It’s typically used by fitness competitors who have been following very low calorie diets leading up to a competition to prevent excessive weight gain after the show. The primary goal of a reverse diet is to minimise body fat gain while rebuilding your metabolic rate and increasing your caloric intake. As a result, you will also slowly increase your metabolic capacity, making future fat loss efforts much easier and more sustainable! If you fit the above criteria, you might want to think about implementing the process of reverse dieting for a minimum of 10-12 weeks. Reverse dieting is also great for people who have reduced their body fat to a level that they are comfortable with and now want to focus on building muscle, but gain minimal fat in the process. The most obvious benefit is the ability to avoid the dreaded post-diet rebound. How many of us have completed a diet or challenge and rewarded ourselves by stuffing our face with ALL of the foods? By increasing calories incrementally, a reverse diet allows your metabolism a chance to catch up to the surplus calories. If too many calories are introduced too soon, the body will attempt to store these calories for the next time you expose it to an extreme calorie deficit. This can lead to rapid weight gain and potential long-term metabolic issues. Reverse dieting also helps you restore your metabolism to a much higher level so that you have a better “base” to cut calories from. 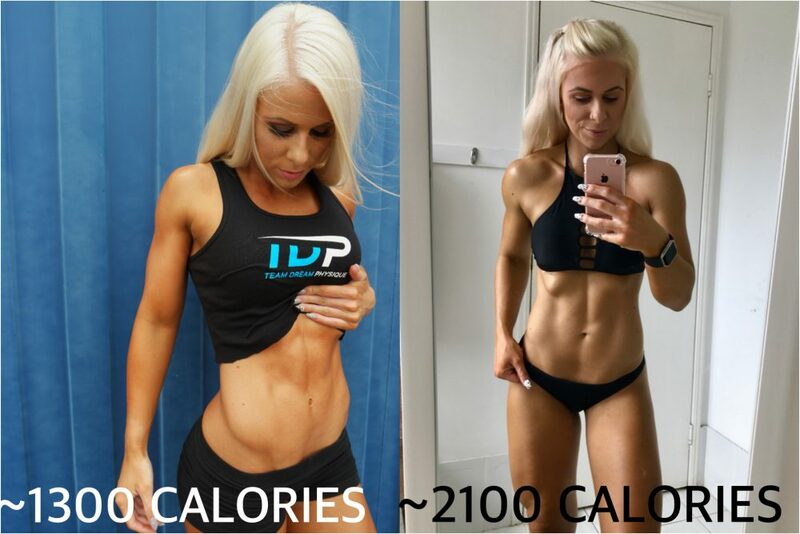 Starting your weight loss at 2200 calories, for example, is going to leave you a lot more room to reduce calories when you reach a plateau compared to if you started dieting at 1600 calories. A boost in motivation and looking forward to your workouts again. Some even find that their weight starts to slowly decrease again! How do you implement reverse dieting? Reverse dieting is a slow and methodical process. It involves adding a small amount of calories on a weekly basis, generally through a combination of carbs and fat, and monitoring your weight (amongst other things). If you lose weight or your weight remains the same, then you add more calories. If your weight increases significantly, then you don’t generally add calories that week and allow your metabolism a chance to catch up. The goal is to continue with the reverse dieting process until you notice a true weight gain over two weeks. When you finally get to that point, you will have found your true maintenance calories. From there, you have three options – build, cut or simply maintain your weight at this higher calorie intake. If you want to build muscle, you can put yourself into a calorie surplus by continuing to increase your calories in line with your target weight gain per week. This will also help to increase your metabolic capacity. Alternatively, you can reduce your calories and recommence a dieting phase. This will provide you with a great starting point to cut calories from so that you can achieve sustainable long-term fat loss. Note: In some cases, it may be more beneficial to go immediately back to maintenance intake, or increase your intake by 10-20% initially to help prevent bingeing and the negative effects of being on extremely low calories. I have helped A LOT of women with the reverse dieting process. Many of them have come to me not realising that this is what they need to do in order to continue losing fat. If you fit the above criteria and think that you might benefit from reverse dieting, then email me or sign up to my 8 Week Nutrition Coaching and let’s get started! Payment plans are now available from $45 per week!